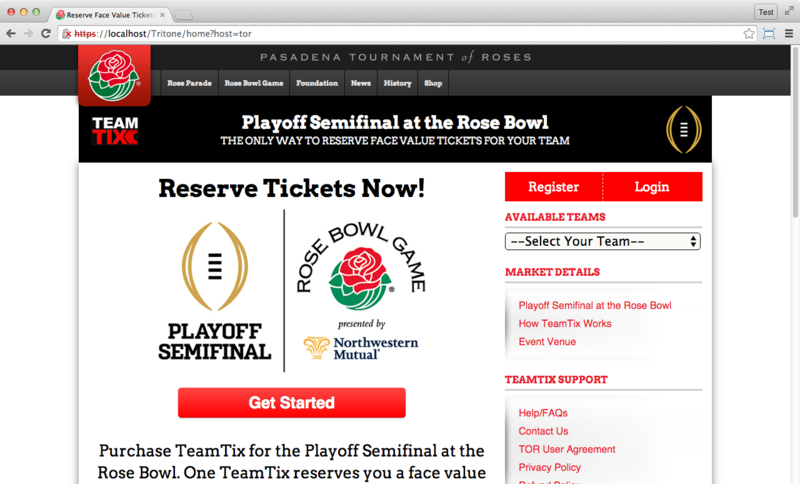 What follows is work that I did for my past employer, The Ticket Reserve (TTR). 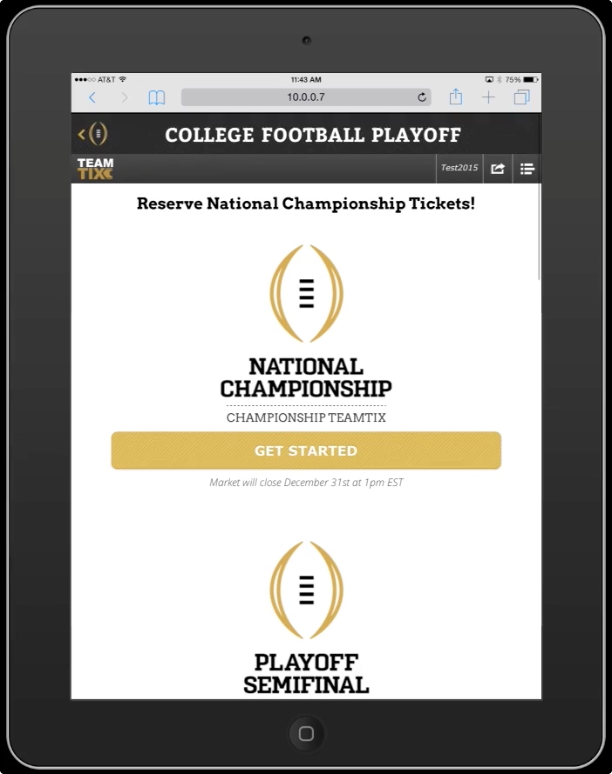 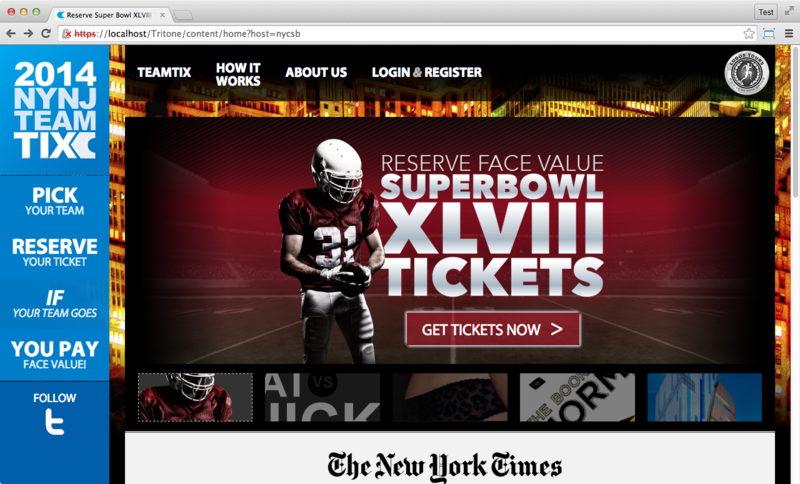 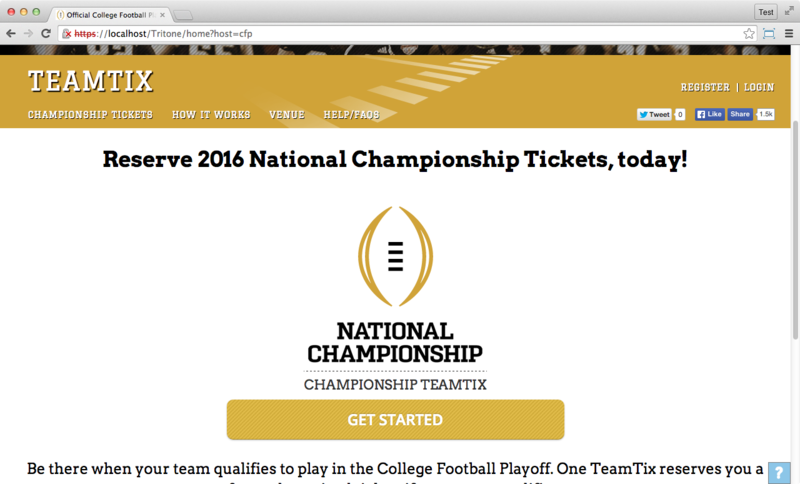 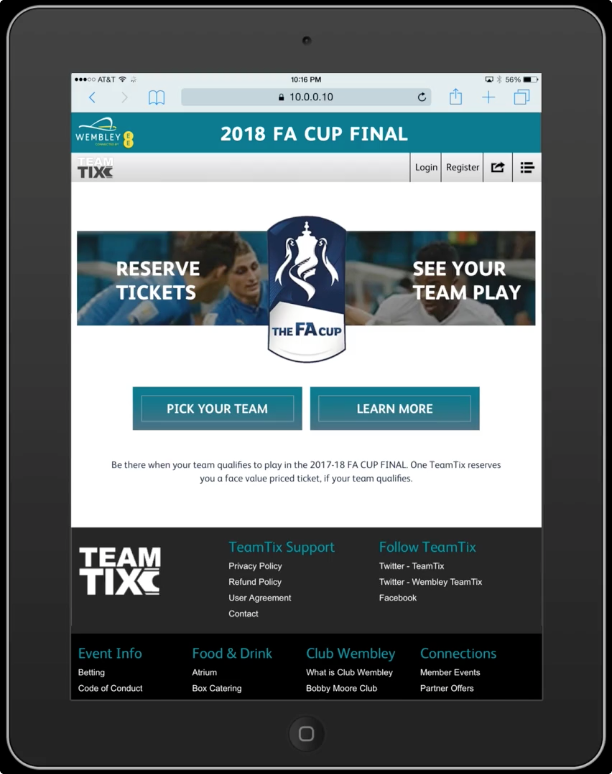 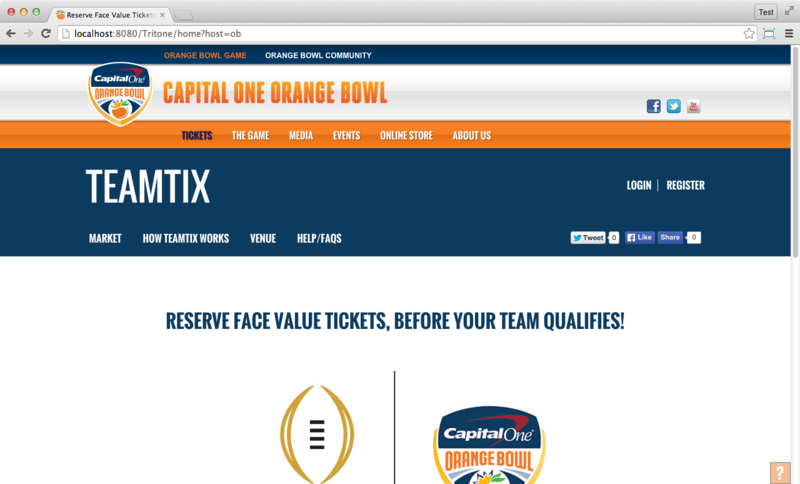 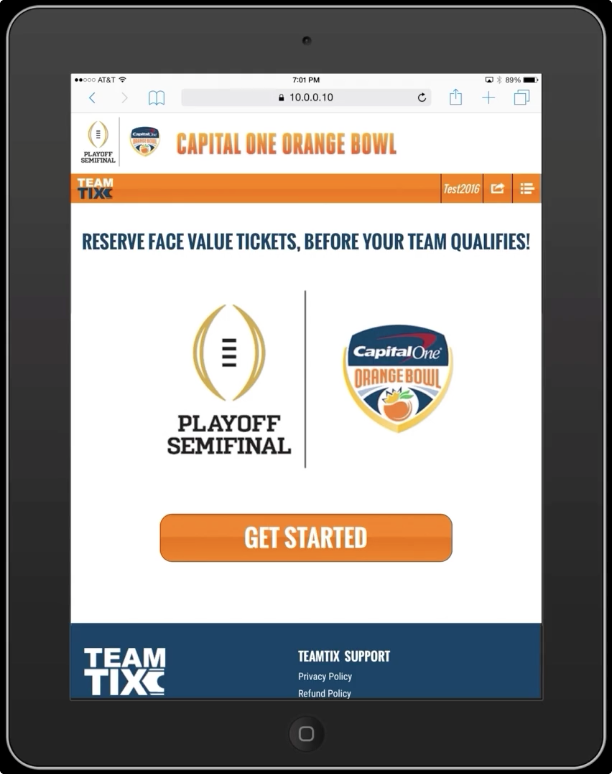 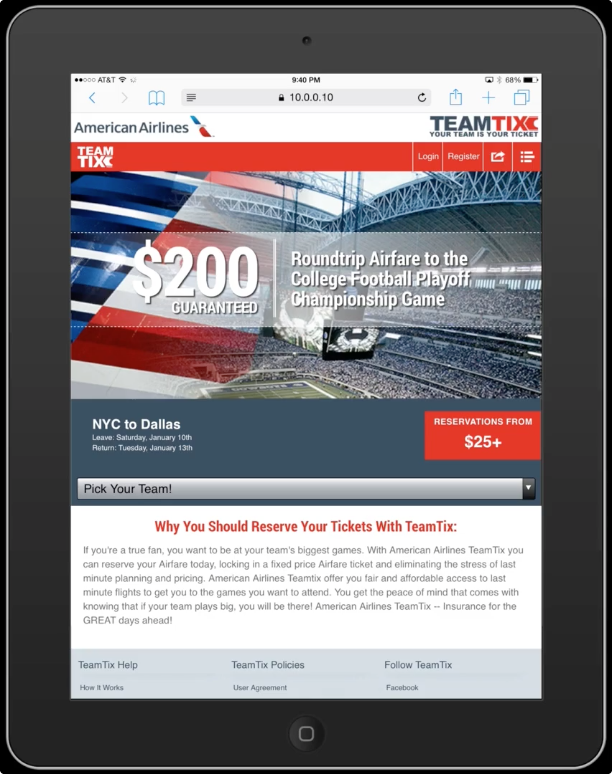 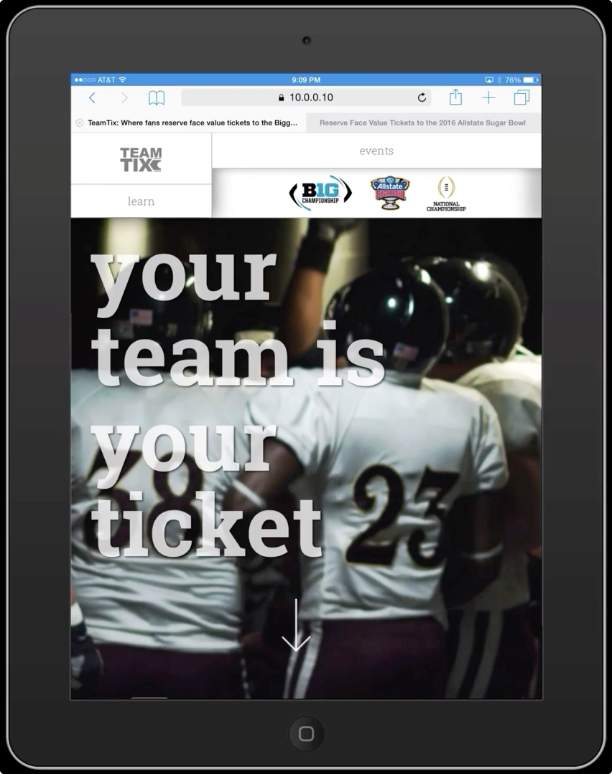 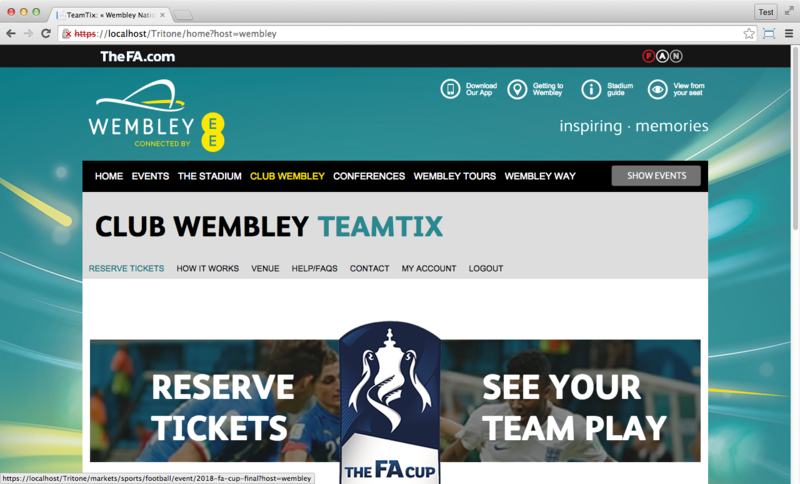 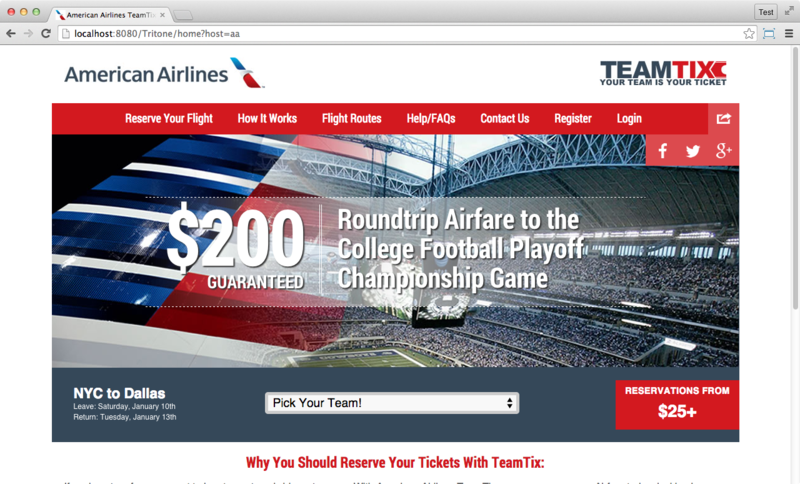 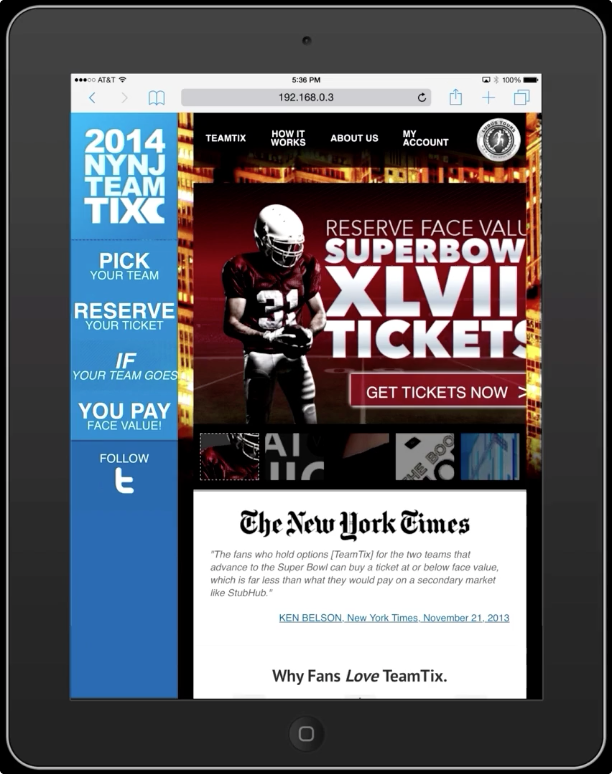 TTR licenses a web ticketing platform called TeamTix, which is integrated into various licensees’ websites to create a seamless user experience. 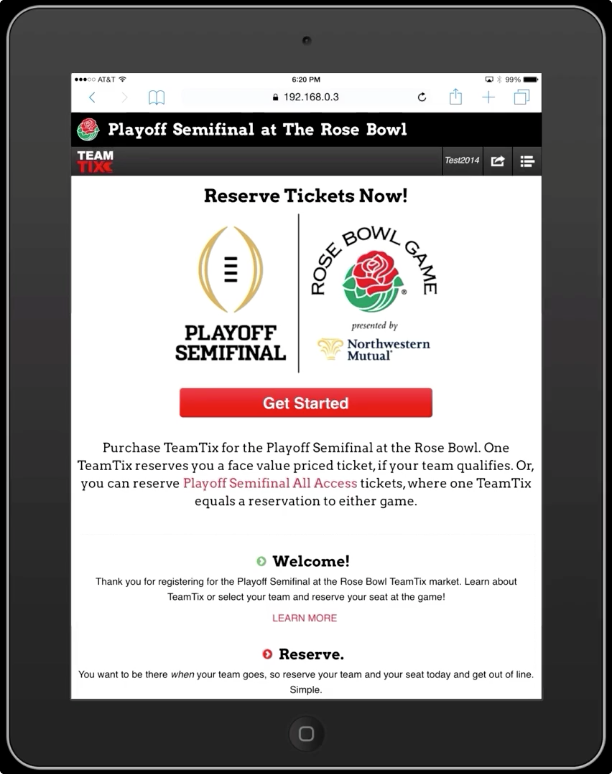 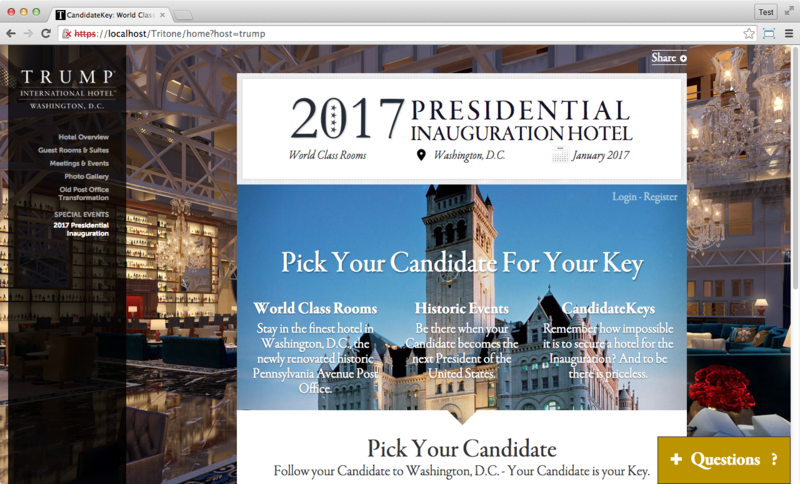 Those licensees include big name event holders and companies like College Football Playoff, The Rose Bowl, American Airlines, Trump Hotels, and many others. 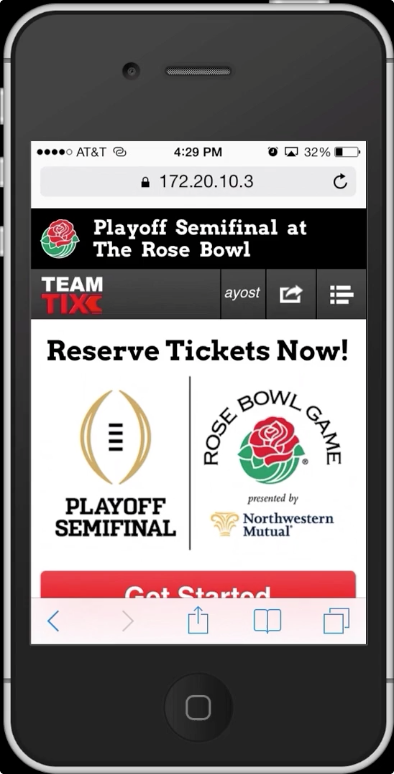 You can learn more about it at teamtix.com. 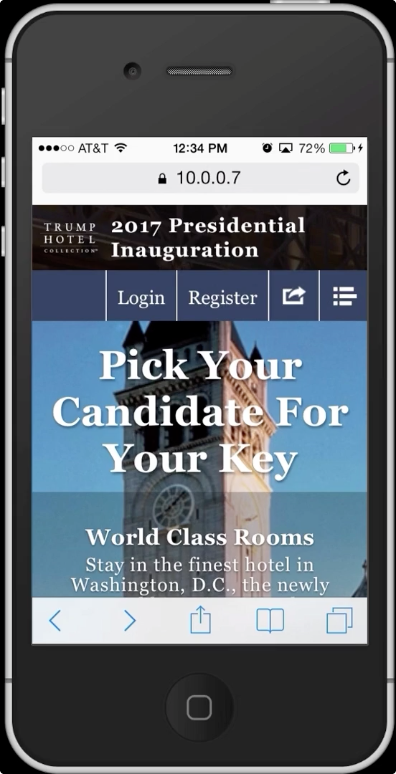 My main jobs for the company included: Responsive Design, Front-End Web Development, Interaction Design, and Graphic Design. 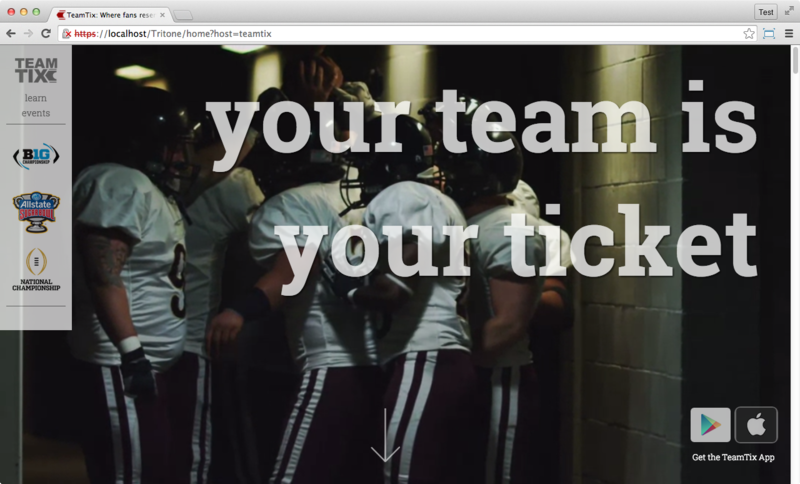 Disclaimer: demos are for demonstration purposes only. 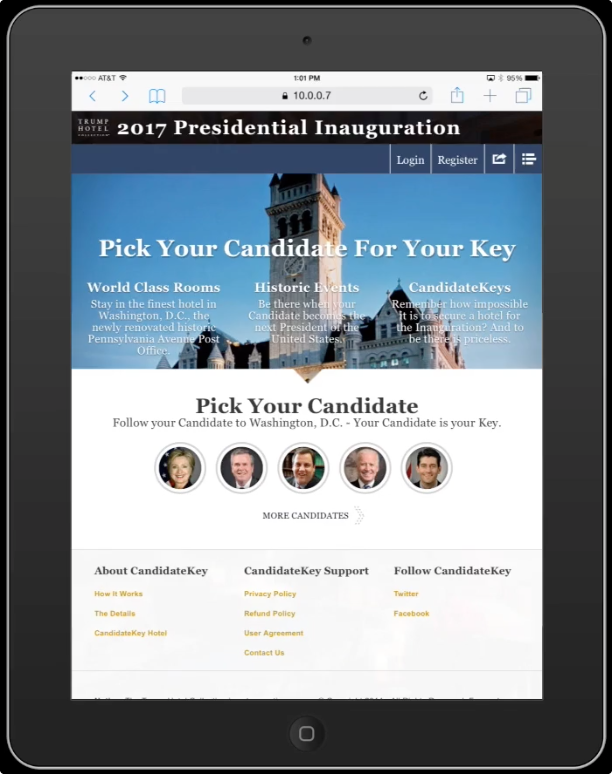 Some links within the demos will not work due to proprietary database information.